Princess Cruises has this week announced plans to update the livery across its global fleet, unveiling the new elegant hull design aboard Majestic Princess — the first cruise ship designed and built for the Chinese cruise market. 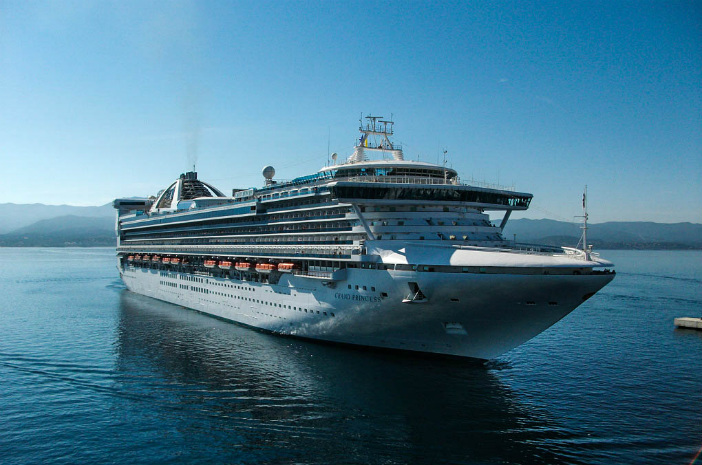 Given its logo is one of the most recognisable emblems in world cruising, it seems only prudent that Princess Cruises would choose to create a new livery design which incorporates its famous, ocean-themed graphic. The new design is said to represent the sense of excitement and adventure which comes from cruising the world’s oceans, as well as the premium experience of Princess Cruises, which celebrated its 50th anniversary last year. According to Princess, new vessel Majestic Princess has this week reached a construction milestone, having been “floated out” in the building dock of the Fincantieri shipyard in Monfalcone, Italy. This exciting occasion was marked with a traditional ceremony in which the ship’s “madrina” oversaw the moment the vessel met the water for the first time. The new ship, which is set to homeport in Shanghai and offer year-round cruises to both Chinese and international passengers, is capable of carrying some 3,560 guests, and shares many of its features with Royal Princess and Regal Princess — both of which have been well received by Princess guests. To keep up to date with the latest news from Princess Cruises, check back with the Cruise1st Australia team soon for further updates as they develop.